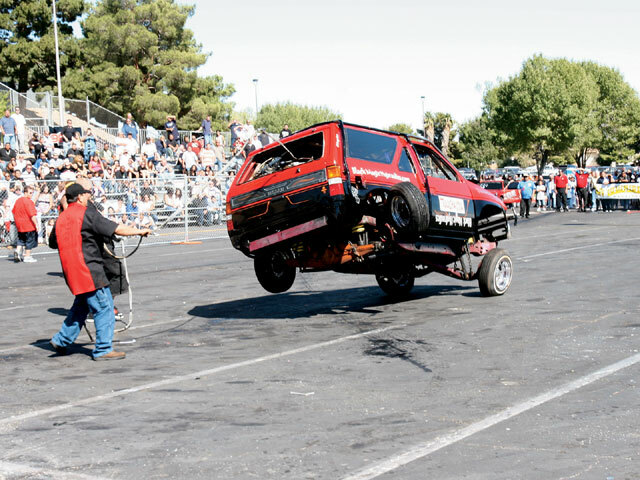 OwnerRon EggersVehicle’94 Nissan PathfinderCity/StateLas Vegas, NevadaClubRoyals C.C. 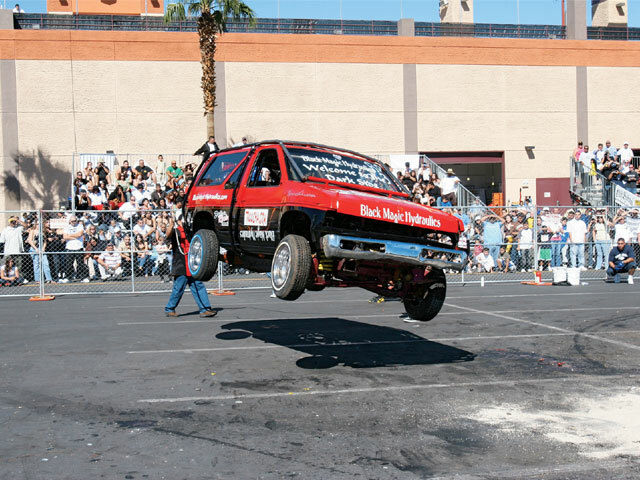 Ron Eggers has been doing his thing on the hydraulic show circuit for years. 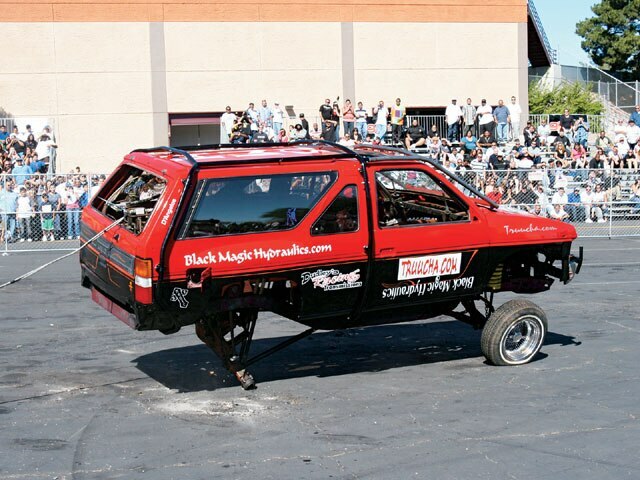 Ron took time from his busy schedule at Black Magic Hydraulic in Las Vegas to work on his latest creation, “El Chupacabra,” a ’94 Nissan Pathfinder that replaces his old radical truck dancer. 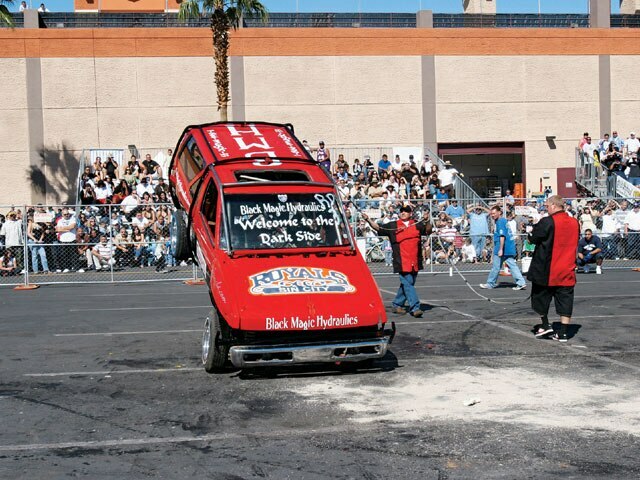 The one-month project almost made Ron go broke as he had only a limited amount of time to work on the truck. The Pathfinder was put together with a few parts from his old truck, primarily the reinforced frame. 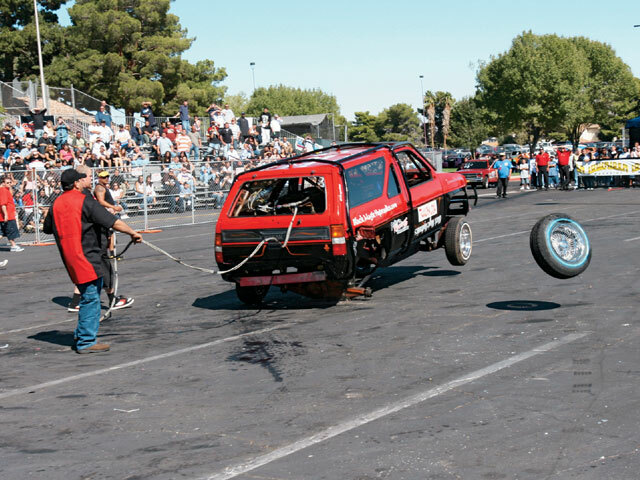 Ron then manufactured the front and rear suspension to work with the 28 31-series batteries that were installed. The 5,400-pound vehicle was then designed to dance on 14-inch Crystal wire wheels to compensate for the additional batteries that were used. 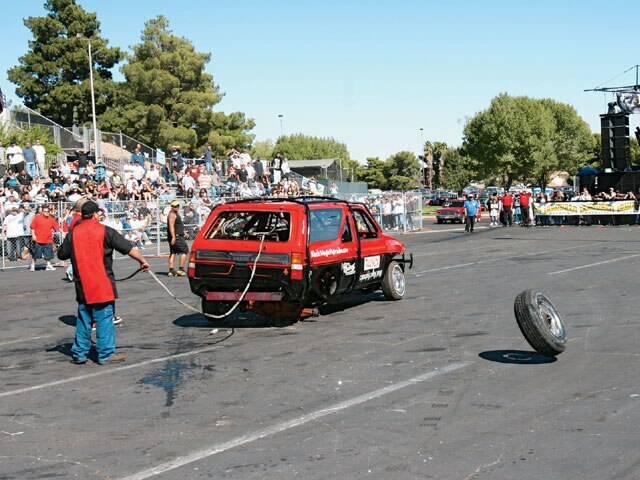 More than 180 feet of 2-inch tubing was used for the interior and exterior rollcage. There’s more than 100 feet of switch cord used to control the 32 solenoid boxes. One of the most impressive aspects of this vehicle is that the hydraulic pumps were all off-the-shelf 11/42-inch street blocks. The truck has more than 100 feet of #8 tubing to plumb the hydraulics. The Pathfinder by far exceeds Ron’s old “Voodoo” truck dancer and you could even call this the new and improved version. This Nissan has taken Ron to the bank, given that he’s still trying to fine tune the truck, which makes it a perfect candidate for “Going For Broke.” We trust that Ron gets his truck tuned in time for the beginning of the 2008 show season.